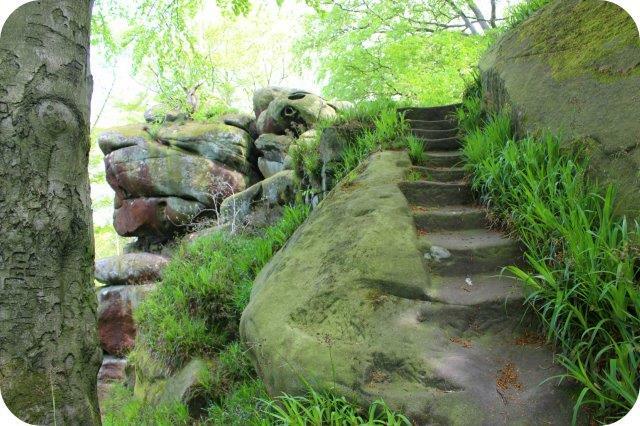 This pic was taken at one of my favourite hideaways in the Peak District, hardly anyone else seems to go there and I always feel like I’ve stepped straight into Lord of the Rings as I leap about from stone to stone. 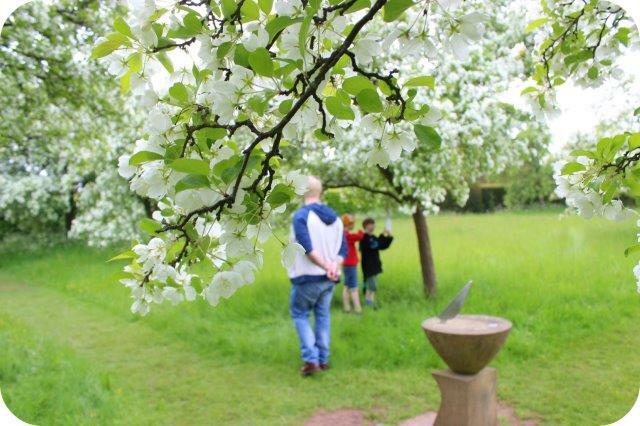 Apple tree blossom flowering in the sun. 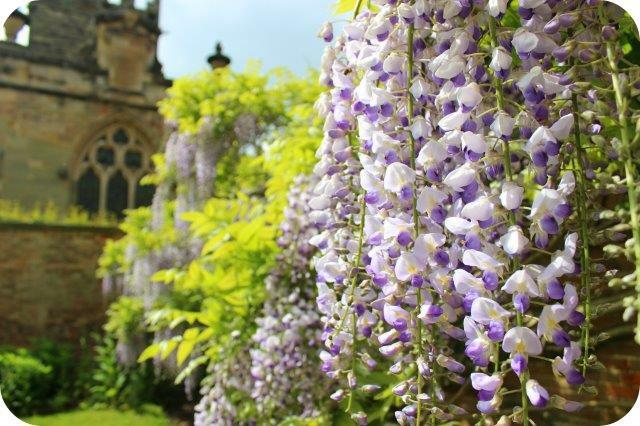 Isn’t this Wisteria beautiful! I’d love some at home but it blooms for such a short space of time I only ever remember I want it when I see it out and about. 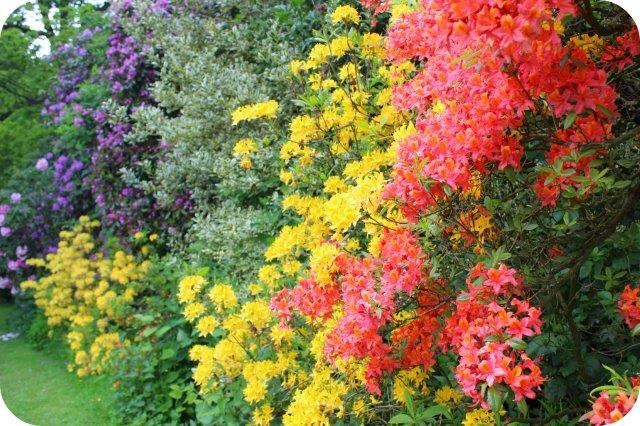 Rhododendron colour explosion! We have one mini dwarf rhododendron in our back garden which we keep in a pot but how I wish we had space for one of these giant beauties. 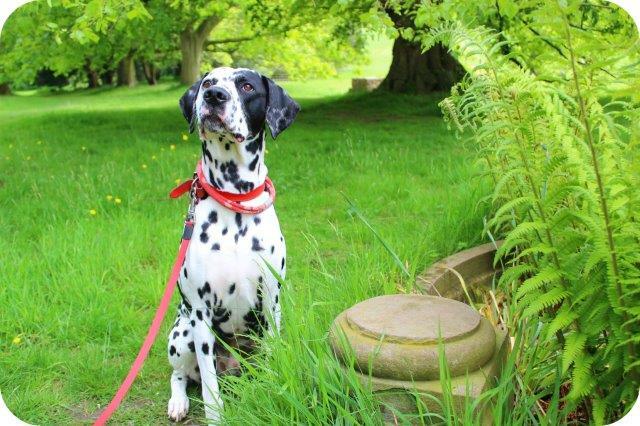 A happy dog enjoying the great outdoors, he’s never very keen to venture out when it’s rainy either. 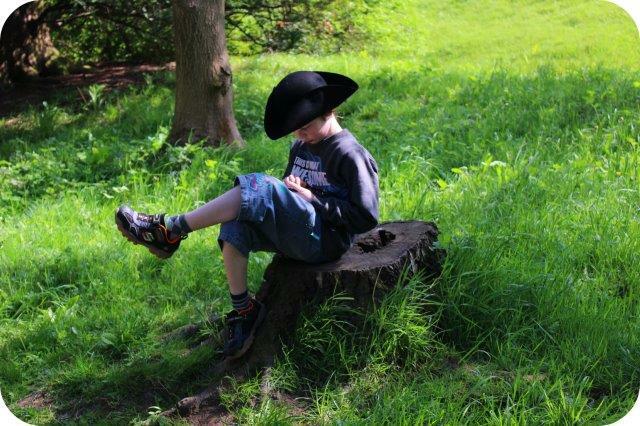 When you’re a forest Pirate taking a rest on an obliging tree stump while checking your compass. 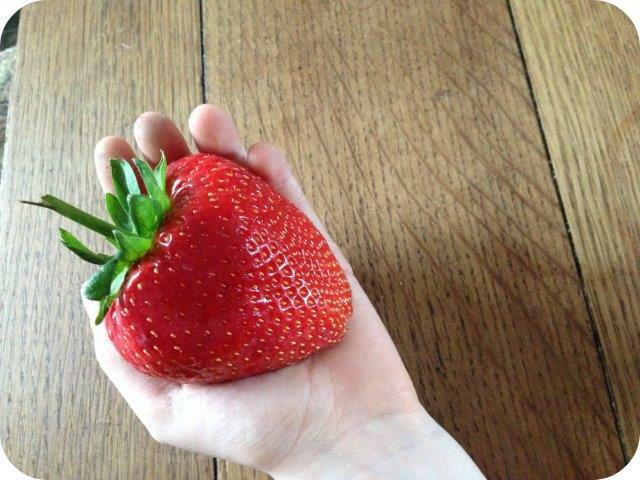 Finally a picture of this mega strawberry! I bought this just a few days ago and like to think that’s its growth (and flavour – super sweet) were encouraged by all this rain and sun combining and if that isn’t a reason to be semi thankful for all the bizarre changeable weather then I don’t know what is. Comments Off on Where has Summer Gone? 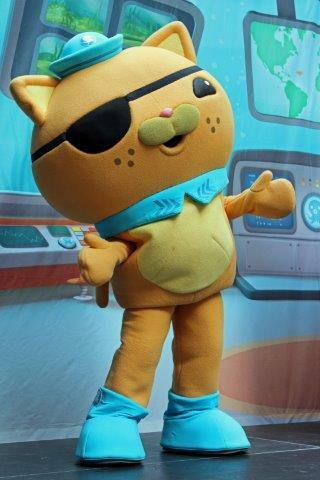 Explore! Rescue! Protect! 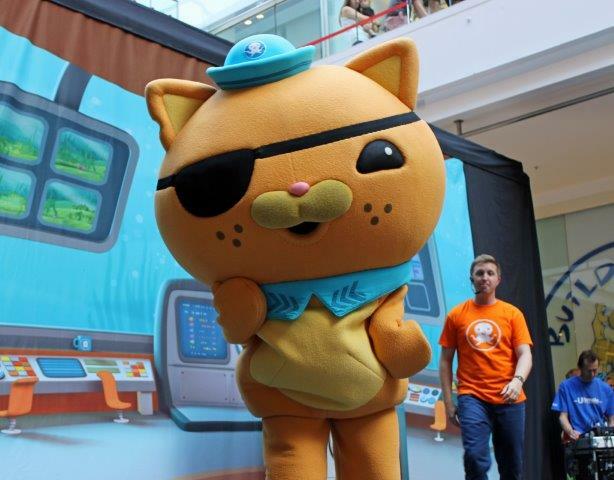 Octonauts Training at Westfield Derby! 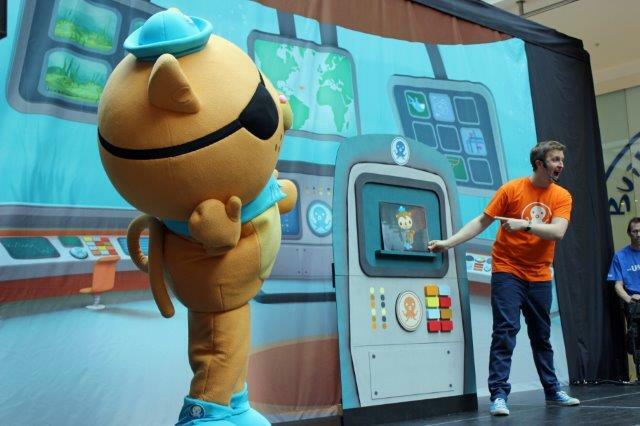 If you’re not familiar with the Octonauts then chances are you don’t have any small children. 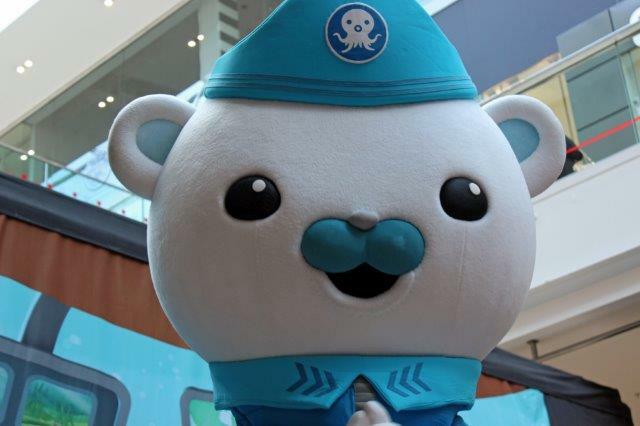 They are popular (animated) underwater characters who spend their days dealing with sea-life emergencies. They explore the deep, rescue creatures that need help and protect animals from harm. 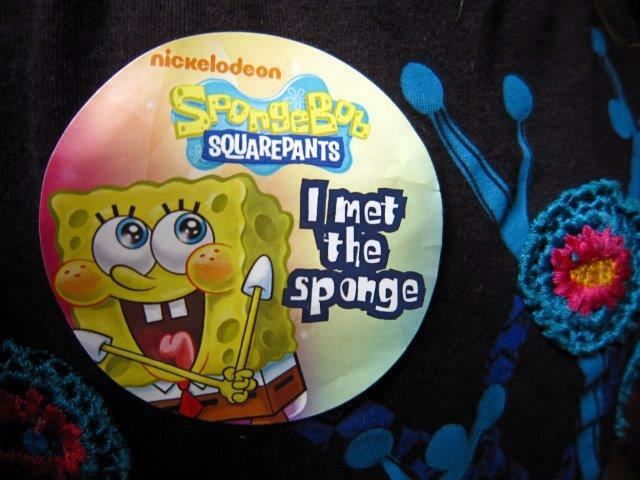 It’s a positive message that kids seem to really identify with. 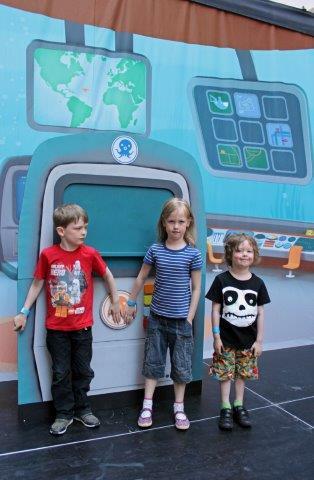 Yesterday they surfaced from the deep blue sea and made their way to Westfield Derby to train wannabe Octonauts (aka fans!) Timed wristbands were available to pick up from the concierge desk for the various shows throughout the day. 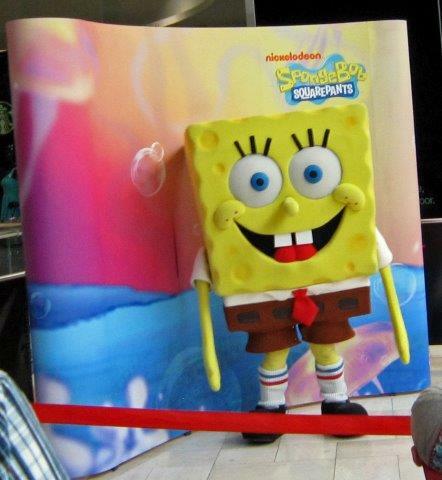 Each show was entirely free and quite long to boot. As you might imagine the show was packed to bursting, it’s rare to get anything for free these days, let alone a decent length well rehearsed production. 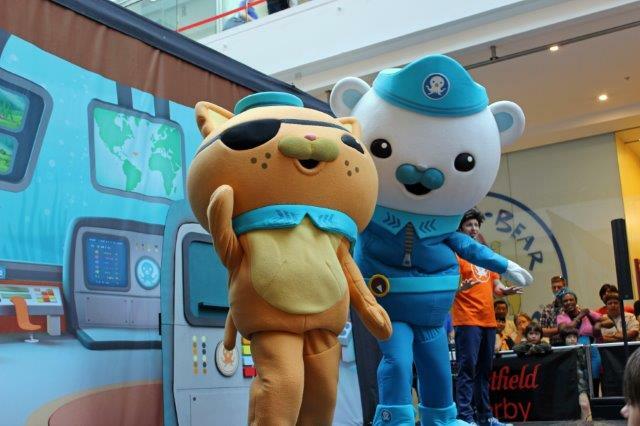 The characters sang and danced to all the familiar songs from the TV show, plus a couple of new ones. I am always amazed how the actors/dancers in these kind of shows manage to seem so agile while wearing extremely heavy costumes. Kids shouted out answers to questions about absent characters and seemed truly engaged throughout the entire production. 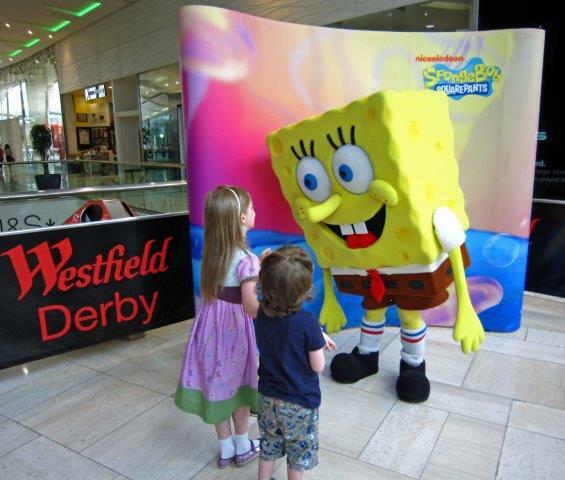 I believe they may have already performed at other Westfield centres around the country, so definitely check out your local one if your kids might be interested. 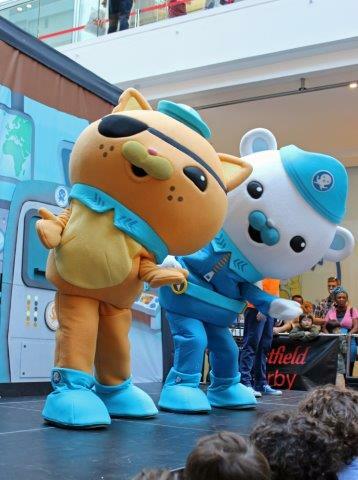 If you missed the show yesterday don’t worry, Westfield are running an Octonauts themed colouring competition and treasure trail around the centre. 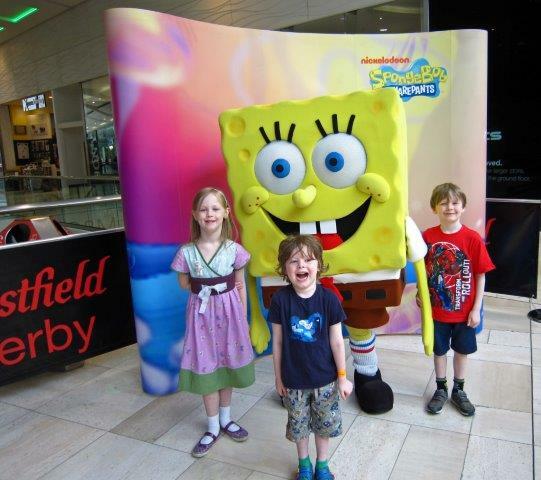 Just pop along to concierge to pick up the relevant forms and don’t forget to check out the remaining free events scheduled throughout the summer holidays. Comments Off on Explore! Rescue! Protect! 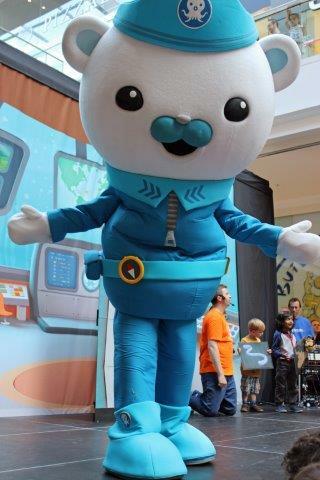 Octonauts Training at Westfield Derby!